Every now and then, we encounter someone who’s been in a car accident but doesn’t believe they need an attorney. Some people go that route, but for the most part, it’s a bad idea. You can be taken advantage of in too many ways. On top of that, you can keep yourself from getting all the money you deserve for everything you’ve been through. Taking on a car accident case is a lot of work. When you’re recovering from a car accident, it can be extremely difficult to try something new. That’s just one of the many reasons you need our car accident attorneys and lawyers in Los Angeles. 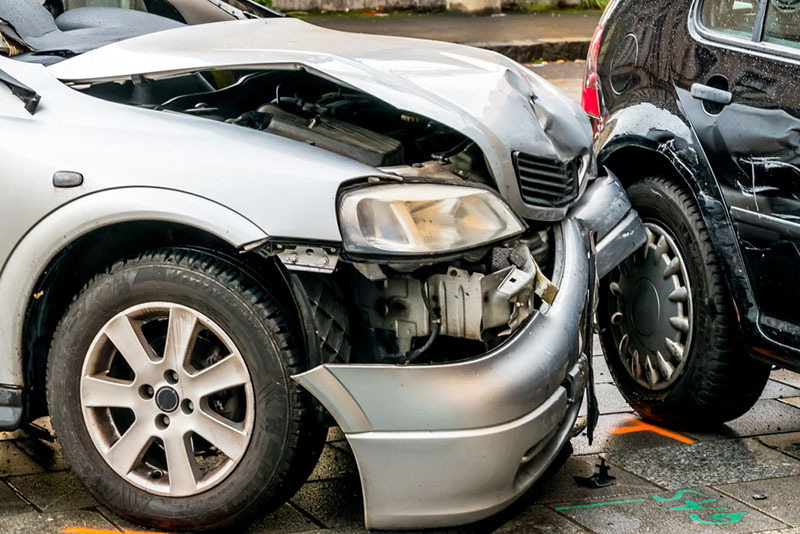 When you’ve just been through a car accident, it’s natural to feel apprehensive about going to the trouble of getting car accident attorneys and lawyers in Los Angeles. You have a million other things on your mind. You have to worry about your own recovery, how you’re going to pay for everything, as well as a whole host of other concerns. By that same token, those are the same reasons that you should hire lawyers. With everything you have to deal with, you don’t have the time to figure out how the law works so that you can get what you deserve in your settlement or trial. We understand how difficult the process can be. That’s why we make it so easy to get in touch with our car accident attorneys and lawyers in Los Angeles. You can call us or go to our site and sign right up for a free consultation. We’ll sit down with you, talk about your case, and figure out how we can help. The consultation is completely free, too. You’ll never have to worry about paying for anything just to sit down with us. We’re always glad to talk to people who’ve been through an ordeal and figure out some ways that we can make things easier on them. If you have a pipe burst in your home, or something goes wrong with the electricity, you’d call in an expert to fix it. They’d have professional training, years of experience, and know what to do when a layperson would not. The same goes for your car accident case. Here at the LA Injury Group, we have several years of experience with car accident cases as well as so many other kinds of accident cases. Just like with any other kind of professional offering a service, we can put that experience to use for you so that you don’t have to worry about it. “Peace of mind” is one of the major reasons to hire lawyers to take your car accident case. When it’s in the hands of the professionals, you don’t have to worry about. We know how important your case is to you. That’s why we always make it easy for our clients to communicate with us. By keeping the channels of communication open, you’re always updated on your case. So, you know what’s happening every step of the way. In turn, that allows you to make the most informed, and ultimately best decisions for you and your family. When you’ve been through a car accident, and you’re dealing with the recovery process, you aren’t alone. There are people by your side who love and care about you. For most people, that’s their family members- the ones who rely on them financially, as well as in many other ways. You owe it to them to have professionals handle your car accident case. Experts are just that: highly knowledgeable about car accident cases, so we can get you what you deserve from your case. The insurance company usually sends an emissary out to talk to people who have been through a car accident ordeal. These insurance company employees are kind, friendly, engaging – the sort of folks that you just feel good talking to. When you’re in the low, vulnerable moments after a car accident, these people can seem like a godsend: a true new friend. Of course, they’re none of those things. They are, however, trained employees of the insurance company. All of that friendliness and kindness is a ruse to make certain they get as much money from you as possible. They have a whole host of tricks to ensure that they do. One of the best is also one of the most counterintuitive: they offer you money up front. Who could say no to free money? You’ve just been through a car accident. So, you’re facing all kinds of bills and a deeply uncertain future. Of course instant money is going to seem appealing. However, this is just one way they try to save the insurance company money. Before you ever sign anything from an insurance company, talk to our car accident attorneys and lawyers in Los Angeles. See, when the insurance company offers you money up front, they want you to take it instantly so that they don’t have to give you more money later on. The insurance company knows what your claim is worth. Really, they do – they have teams of pros working around the clock on exactly that kind of thing. You can rest assured that whatever number they come to you with is significantly, in sometimes astronomically lower than what your claim would be worth. When you contact our car accident attorneys and lawyers in Los Angeles, you’re just doing your due diligence. It’s very important to have lawyers on your side when you deal with insurance companies if, for no other reason, because the insurance company has their teams of lawyers. No one at the insurance company has decided to “go it alone” or thought “we don’t need lawyers.” They have teams of expert lawyers on retainer, working around the clock with one sole focus: making sure that you don’t get the money you’re owed. Shouldn’t you have lawyers on your side, too? We’ve helped so many people all around Southern California to get exactly what they deserve after a car accident. When you got up in the morning, the last thing you ever thought you’d be dealing with is a car accident. You certainly didn’t ask to have to deal with all of that pain and suffering. Now that you have, now that it’s a reality, you deserve your due compensation for having to put up with all of it. Instead of letting the insurance company trick you into taking less money than you deserve, take your fate into your own hands and get the kind of attorneys on your side who win. To be honest, that’s all we’ve done against insurance companies for some period of time: win. We’ve won the kinds of compensation that help people move on with their lives. After going through a car accident, it can feel like nothing is the same. It can feel like everything’s different. However, when you get that settlement or compensation that covers everything you need it to (and then some), it is possible to move on with life and feel better. When you’re ready to take that next step to get all of the money that you’re owed, our car accident attorneys and lawyers in Los Angeles will be waiting. Scheduling a consultation is very easy and always free, so you can do so with no risk. We take pride in using our years of experience to make this difficult process as easy as possible. When you hire attorneys to take your car accident case, it is possible to get the kind of compensation or settlement you should have. Find out more when you call us at (818)210-4558 or go to our website.